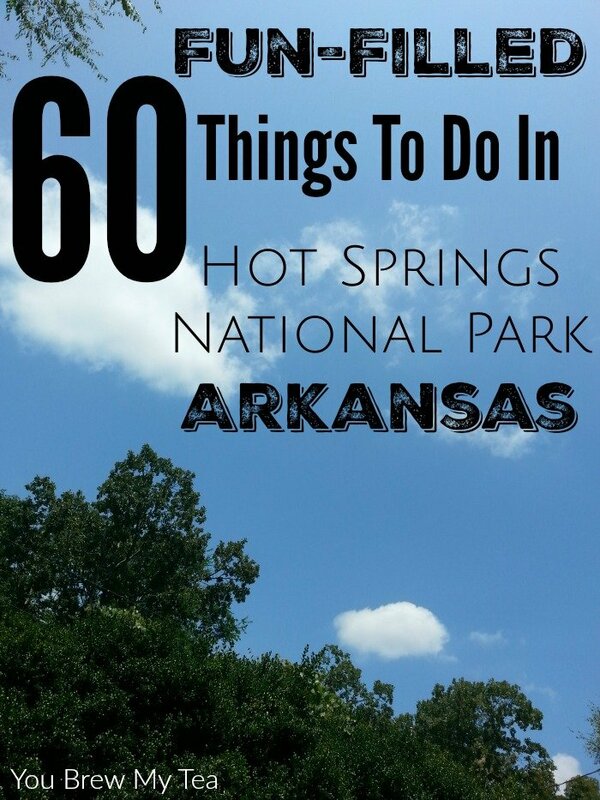 Since I have lived in this area the bulk of my life, I feel I can give you an accurate list of things to do in Hot Springs National Park. Whether you are traveling by yourself, as a couple, or as a family, this little city in the heart of Arkansas has some pretty amazing attractions. If it is on this list, I have experienced it personally and know it’s a great way to get to know more about Arkansas. Visit a Quapaw Bath House for a massage and hot bath in natural springs. Fill a bottle with hot water from one of the many downtown spigots used for generations to pump water fresh from the springs under the city. Walk the Promenade above the bathhouses in downtown Hot Springs. Visit the Hot Springs Mountain Tower and ride to the top for amazing views. Rent a houseboat from Mountain Harbor Resort for a fun lake stay. Drive to the top of West Mountain and take a hike to see more great views of the city. Visit the Garland County Historical Society to learn more about the unique history of the city and it’s healing waters. Ride around the downtown area in a carriage drawn by beautiful horses. Stay in a lakeside cabin or bungalow at Lake Catherine State Park. Visit the Alligator Farm and Petting Zoo. Spend a day at Magic Springs and Crystal Falls amusement park and water park. Have Latin Cuisine at Rolando’s and enjoy a meal on the patio with live music. Walk through Garvan Woodland Gardens for flowers as well as the beautiful Anthony Chapel. Order the Godfather Pizza from Rod’s Pizza Cellar. Attend the Hot Springs Documentary Film Festival when in session. Ride the Duck Tours downtown Hot Springs National Park. Eat breakfast at The Pancake Shop downtown. Visit the waterfall at Lake Catherine State Park. Spend a few hours at the Gaming Center at Oaklawn Racing & Gaming or visit early in the year for the live horse racing season. Visit The Gangster Museum of America in downtown Hot Springs to learn more about the sordid history of the city. Golf at one of the many award-winning golf courses inside Hot Springs Village, a mere half hour drive from downtown. Check out a large variety of fish and sea life at the National Park Aquarium. Check out the wax figures at the Hot Springs Josephine Tussaud Wax Museum. Visit the Mountain Valley Water building downtown for more information about the springs and local water supply. Take your picture next to the sign downtown honoring Hot Springs National Park as the boyhood home of President Bill Clinton. Take your family to visit Tiny Town where you can find a miniature town with tons of great model railroads and trains. Visit Ozark Bathhouse for a visual tour of the original bathhouse and history of the Hot Springs National Park. Take the kids to Mid America Science Museum for a day of fun hands-on science play. Check out Superior Bathhouse Brewery for local brewed beer. Ride the Belle River Boat dinner cruise for a beautiful sunset experience. Have a New York style pizza at Deluca’s Pizzeria. Enjoy a Tamale Spread at McClard’s BBQ. Visit the Arkansas Walk Of Fame downtown. Ride horses or hike trails at Lake Catherine State Park. Enjoy live local music at Maxine’s or the Ohio Club. Visit the Fordyce Bathhouse National Park Museum. Picnic in Arlington Park near the natural hot springs. Check out the Hot Springs Historic Baseball Trail. Have a drink at The Arlington Hotel. Don’t miss the underground mall and beautiful wrap around porch for visitors. Try a unique flavor of cupcake at Fat Bottom Girls Cupcakes downtown (featured on Cupcake Wars). Dig for crystals or take a ride on the zip line at Ron Coleman Mining outside Hot Springs Village (half hour from downtown Hot Springs National Park). Take in a local show at the Pocket Community Theater. Hike and play at Cedar Glades Park. Drive across Blakely Mountain Dam on Lake Ouachita for beautiful lake views. Picnic at Gulpha Gorge and play in the water with your kids. Visit many local art galleries in the downtown area featuring local and world-renowned artists. Shoot pool with your friends at Boondocks Pool Hall. Go on a guided bass fishing trip. Take home some local handmade pottery from Fox Pass Pottery. Play miniature golf with the kids at Pirate’s Cove. Zipline at Ouachita Bend with the family over beautiful scenic hills. Visit Entergy Park on Lake Catherine for fishing, or play time with the kids. Have New York style Chicken Chow Mein from The Wok Express Chinese restaurant. Hike around Lake Ouachita State Park. Have a burger and milkshake at The Shack in Jessieville, outside Hot Spings Village – about 30 minutes from down town Hot Springs. Take cash – they don’t accept credit cards. Visit Transportation Depot downtown Hot Springs National Park. View the statuary, art, and the Veterans Memorial. Show up on Saturday mornings for the local Farmer’s Market. Take nature hikes on one of the many trails throughout Garland County and the surrounding areas. Go camping at Lake Catherine State Park, Lake Ouachita State Park, or Brady Mountain. Spend the night in one of the local bed and breakfast options. Take a boat ride with friends to some of the best local restaurants – Fisherman’s Wharf, Hawg’s Pizza, and more! Rent a boat and jet ski’s for a fun afternoon in the water. Enjoy made to orde breakfast at The English Muffin overlooking Lake Hamilton. Watch the annual 4th of July Fireworks show for free on the grounds of Oaklawn Race Track. Enjoy classic Italian cuisine at J&S Italian Villa in Temperance Hill Square. Enjoy a handmade burger and soft serve ice cream at Frosty Treat. Renew your wedding vows in Anthony Chapel at GarvanWoodland Gardens. Shop All Things Arkansas downtown for great local artisan wares and souvenirs. Take a picture in front of President Bill Clinton’s boyhood home. Indulge in a wine tasting at The Winery. 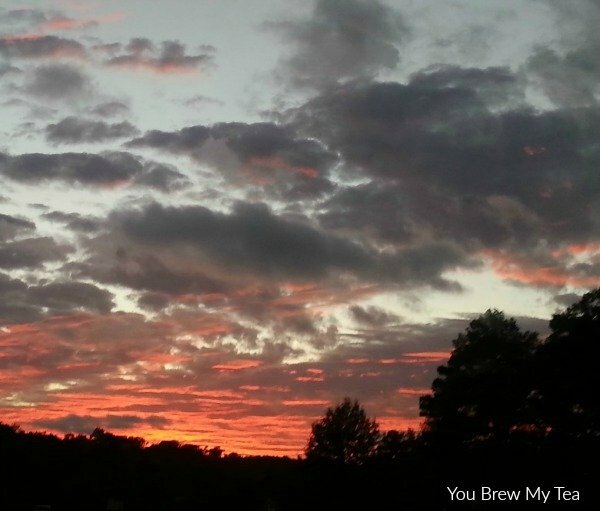 Watch the sunset over Lake Hamilton, Lake Ouachita or Lake Catherine in the summer. Check out one or more of Hot Springs Festivals: Hot Springs Music Festival, Hot Springs Craft Beer Festival, Hot Springs Jazz Fest, Hot Springs Horror Film Festival, and more! 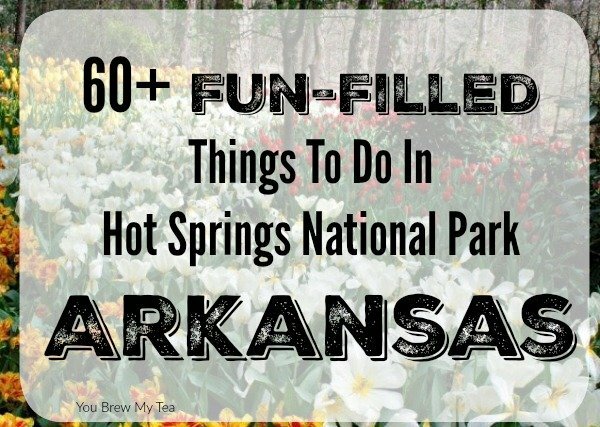 Don’t miss more fun facts about Hot Springs National Park that also include ties to various presidents, gangsters, and celebrities on the Arkansas state website. While many historical landmarks of the downtown area had become run down over the years, there has been a wonderful influx of new business owners and passionate individuals who want to see Hot Springs National Park become what it once was. Between the ongoing efforts to upgrade and restore buildings downtown to the fun festivals and events brought to our city, there are tons of amazing ways for you to enjoy a stay in this little tourist city in the center of Arkansas.